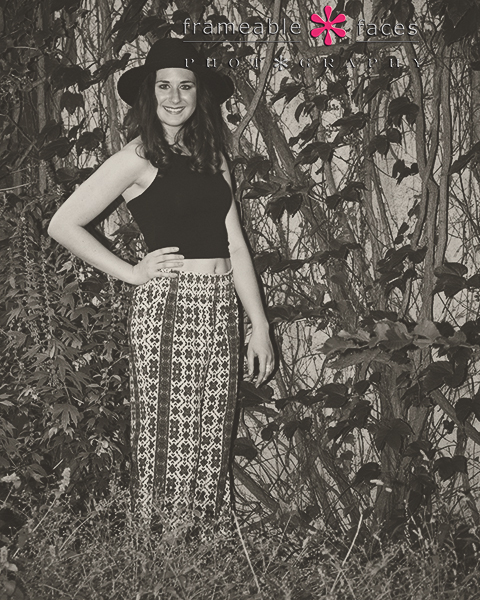 Our Senior Session With Jaclyn Was Quite A Journey! 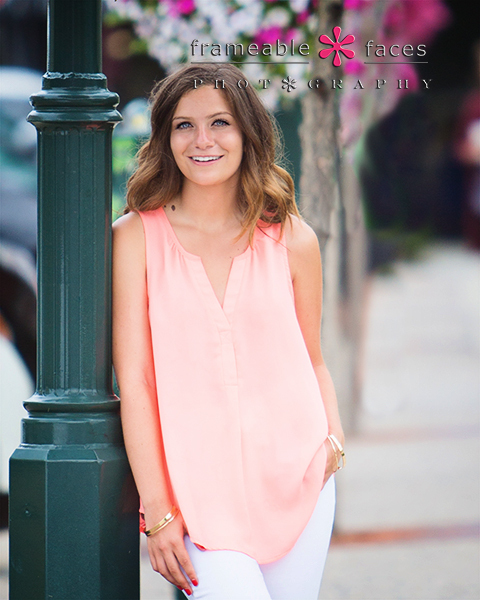 Jaclyn’s senior session was quite a journey in more ways than one! For starters, arriving at this day and this occasion was a journey in itself since we were there at the hospital after Jac was born. Her dad Chris and I have been friends going back to 2nd grade and we grew up on the same street 5 houses down from each other. So you could say Jaclyn is basically like a niece to us and that made for a surreal session to say the least. Meanwhile Chris’s parents moved to Boyne City when they retired so we made the trek up there to make a little up North visit out of it to photograph Jaclyn on location at Lake Charlevoix and around the area. It’s beautiful up there! We arrived around sundown and started right away to get a few shots down at the water including this awesome shot using a little off camera flash! We’ll leave you with one more of this unique and super cool shot up in a tree! So there you have it! What a journey. A journey for us to travel up North for such an amazing location photo shoot, and a journey of 17 years for us from meeting Jaclyn in the hospital right after she was born to having this beautiful young lady in front of Ally’s camera. It was a really special occasion for us and Jaclyn did an awesome job for these spectacular results. We hope you enjoyed the highlights of the journey! 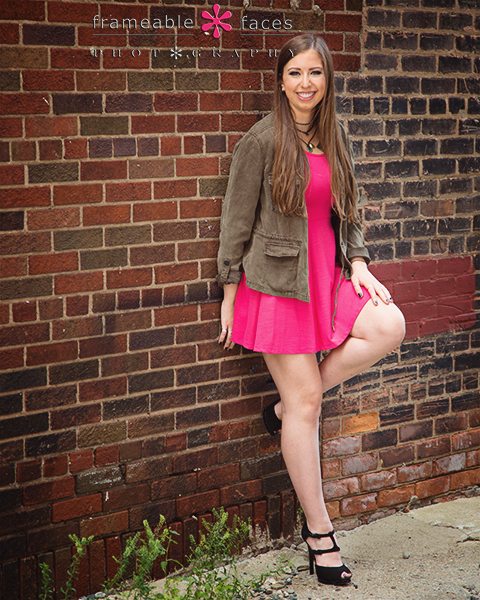 Four P’s Of Rachel – Purple, Pointe, Plants, Perfection! Rachel’s spokesmodel session was entirely indoors back in January so we were excited to get out on location for her senior session and for this session we covered “four P’s” which wasn’t by design per se, it just worked out that way. And what a session! Rachel’s mom Sue joined us and much fun was had. So let’s get to our four p’s shall we? We started out in the studio on the purple background which we have had a lot of fun with this year. It’s a great color for this girl! We also broadcast portions of the session live on Periscope in the studio and on location and the broadcasts were a lot of fun – here are both segments back to back in this YouTube video including the “bee incident” where Ally caught a bee in the frame right by Rachel’s face! The bee incident happens at the 11 minute mark and we got a little chuckle out of that. Download the app here and follow us at @frameablefaces! 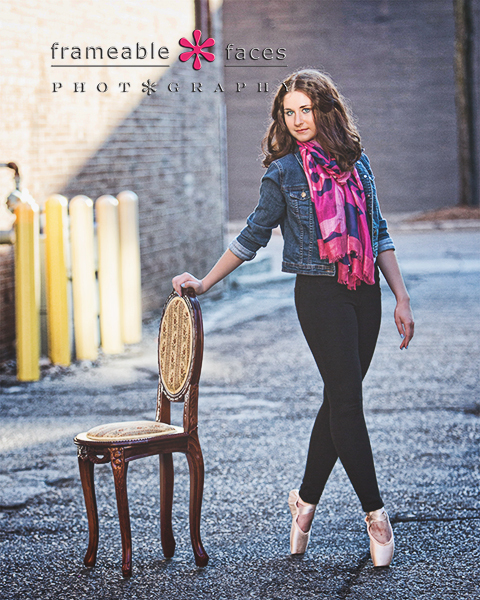 The next photo comes from a series of Rachel with “Rachel’s chair” and it’s on pointe in more ways than one. Another one of the P’s! This is Rachel’s wall – we didn’t know it existed – she found it ahead of her session and led us there. It’s covered in vines so there are your plants! So there you have it – the fourth “P” is perfection which describes the whole day! 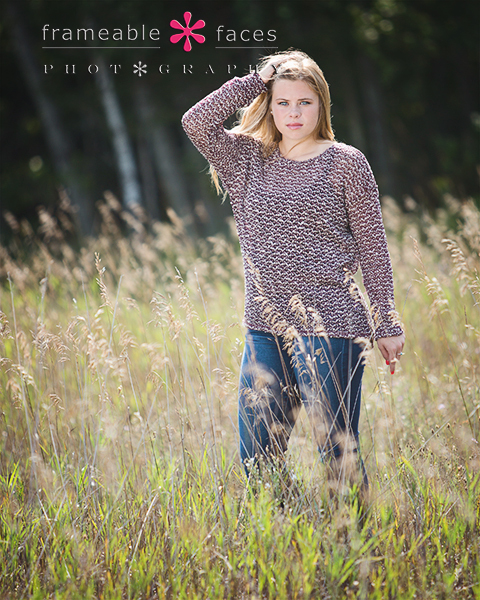 We had an awesome time photographing Rachel again and we hope you enjoyed the highlights of her session! 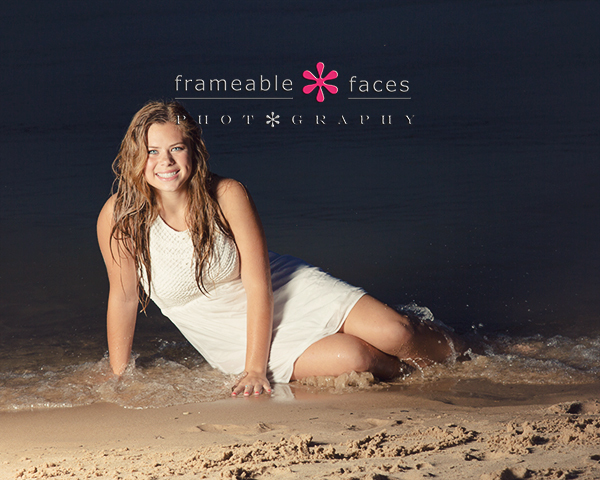 It’s Kyra’s Turn in the Senior Session Spotlight! It’s Kyra’s turn in the senior session spotlight being our second senior from her family – Kyra’s older brother Brendan was a Frameable senior a couple years back (he can be seen as the 6th senior from the top leaning against the silo here) and we met Kyra then as the spunky younger sister! 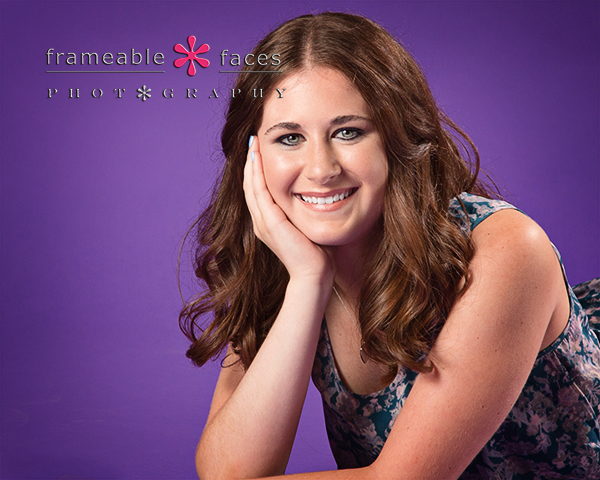 We really liked her then, so we were excited when we got the call from their mom Karen that Kyra would be coming to the studio for her own senior photos! Kyra was ready to deliver on this day! We spent most of our time on location in Birmingham but we started in the studio so let’s start our highlights there on the black background shall we? We also have to add that not only was Kyra a natural in front of Ally’s camera, but she had a lot of fun with our audience on our live Periscope broadcast from the session. Here is the replay of our almost 25 minute broadcast of a portion of the session which saw many of our favorite photographers from around the world including Toronto and the UK tune in and say hello! Both Kyra and Karen had fun with this and feel free to watch the whole thing, fast forward through the photography talk while Kyra changed outfits, or whatever you like! 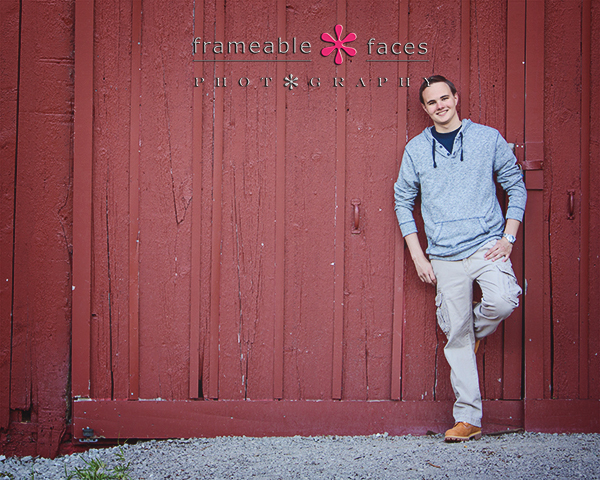 Be sure to download the app and follow us there at @frameablefaces! 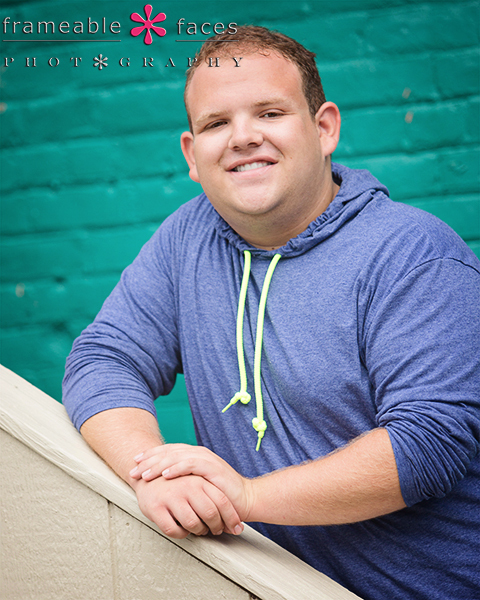 Okay now let’s get back to a couple more photos from the session! We have gotten a fair amount of use out of the fountain so far with this class, and why not? Great one to leave you with if we do say so ourselves. Kyra is a star. So there you have it – it was Kyra’s turn in the senior session spotlight as we said at the beginning and boy did she make the most of it! We hope you enjoyed the highlights! That’s all you have to say. It’s Kirsh Daddy time and that’s the word of the day. It’s actually Zack’s favorite word and if you hang with him for a while you’ll find yourself saying it too. It’s basically another word for “cool” or “sweet”, and Zack is both, as well as a total character, so we were looking forward to this session for sure. Swift right? That shot wasn’t actually part of the plan with the specs – they are transition lenses so they darken up when exposed to the light but we actually love the way that one came out. It’s pure Kirsh Daddy Kool. While we were shooting we broadcasted parts of the session live on Periscope – if you haven’t downloaded the app yet you can do it here, and you can follow us at @frameablefaces! Here is the replay from our YouTube channel! Alright now it’s time to head back to the studio for the fire shot that you saw us doing in the vine and the broadcast replay! So there it is – a swift session Krushing it with Kirsh Daddy! We hope you enjoyed the highlights of our morning with him! 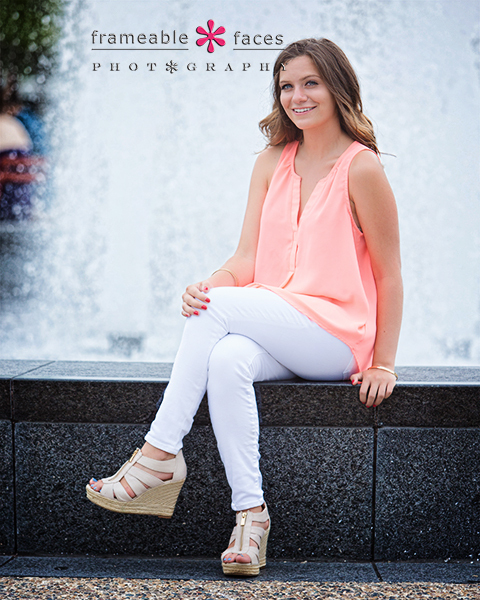 Taking Over The City On Zoe’s Senior Session! 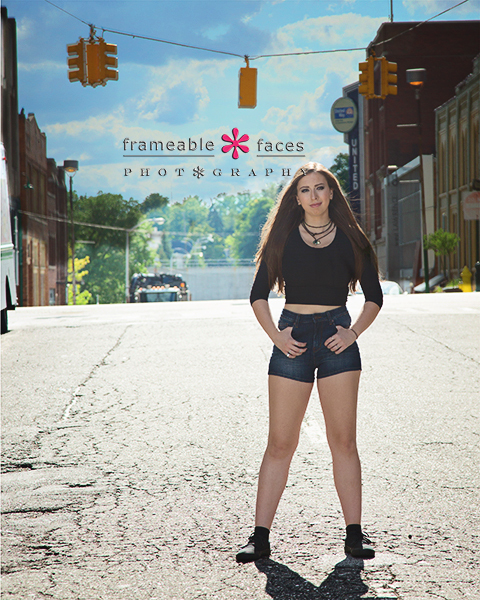 Taking over the city with Zoe was the order of the day when we rolled into Pontiac for some killer urban photos on her senior session! We love Pontiac and while it’s unfortunate that it’s pretty dirty and marked by considerable blight these days it does make for great urban photos – the grittier the better! 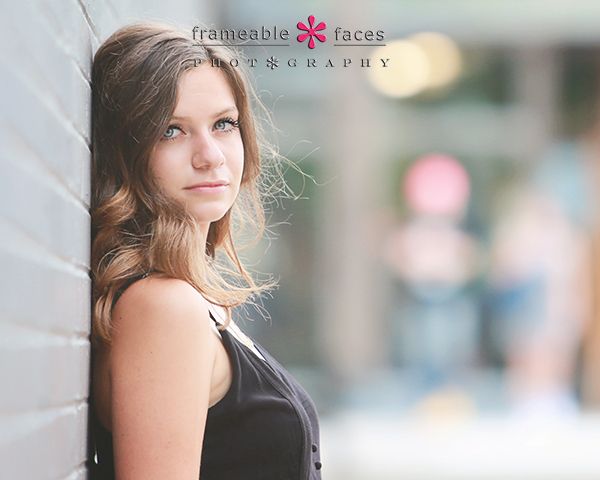 Meanwhile we were excited to photograph Zoe again since she is one of our spokesmodels for the class of 2016 and you may have already seen the highlights from her spokesmodel session here on the blog. We had fun the first time around and Zoe and Ally were even wobbling at one point… Zoe’s mom Elyse is a lot of fun too, and so off we went to Pontiac! 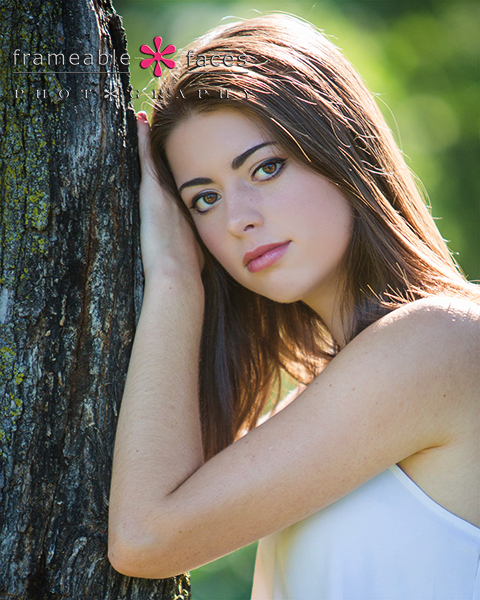 Love the framing of the angles, the lines, the growth – and the girl! Love Zoe in this dress on this wall in the next photo – the pretty and the gritty! We also did a live Periscope broadcast which you can watch if you would like to see more of the session which was viewed by a live audience! If you haven’t downloaded the app yet you need to here and then follow us at @frameablefaces! Okay back to a couple more photos… like this one of Zoe “stopping traffic” haha! And lastly we’ll leave you with this one of Zoe against “Zoe’s post” since these posts are brand new… Anytime a senior uses a new spot or prop on location it gets named for them! So there it is – taking over the city with Zoe! We certainly did that and then some with this awesome girl! We hope you enjoyed the highlights of our day! A Sunday In New York City With Mac and Nina! We recently took an amazing whirlwind trip to New York City where we saw cousins, a bunch of old friends, a bunch of new Periscope friends, and U2 with an appearance by Lady Gaga at Madison Square Garden! We saw some amazing sights ate some amazing food and did the town in the way that only New York allows you to do it. As magnificent as the city is though the greatest pleasures of a trip like that can still come down to spending some time with little ones like Mac and Nina which is something you don’t need a big city to do. Mac has been on our blog before with his parents who are close friends of ours, but at that time Nina wasn’t around yet, so here Mac makes his return and Nina makes her debut! We spent some time in the courtyard of their apartment building in the city for these simple and oh so cute photos and we think you’ll enjoy them! 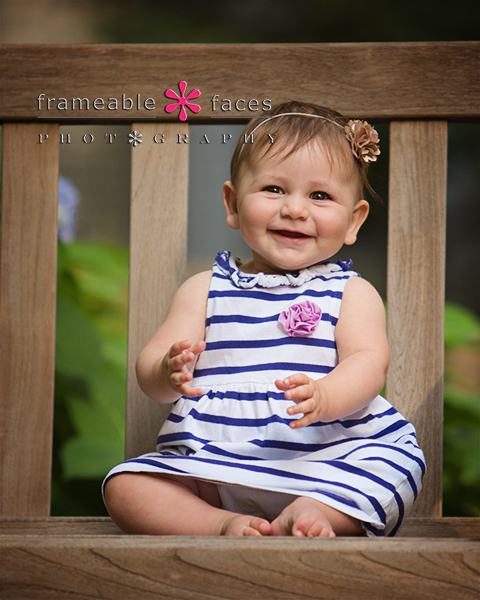 Let’s start with Nina who is such a smiley little smush! 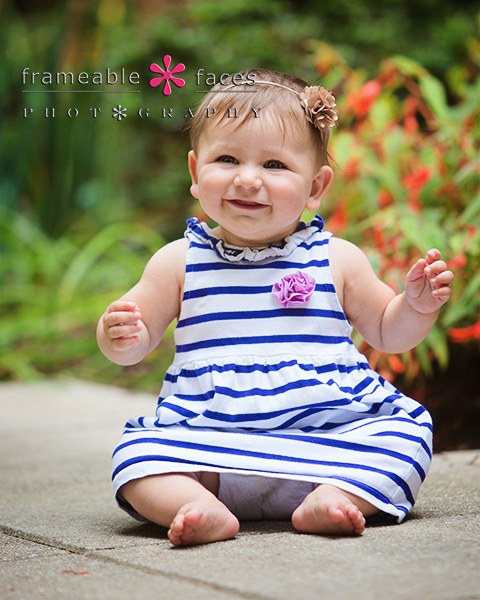 She is so cute and has such a fun disposition! Let’s check in with Mac now who is a big boy compared to the last time he appeared here. What a little stud. 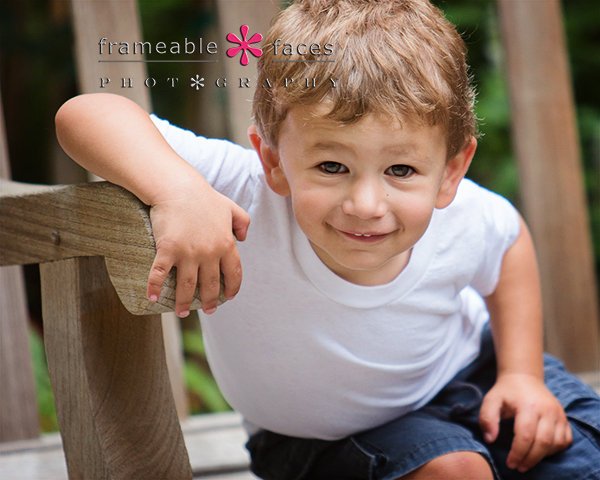 Let’s take a look at one more of the little man who took a break from riding his scooter around to pose for these shots. He’s pretty good on that scooter. So there it is! A wonderful Sunday in New York City with Mac and Nina! We hope you enjoyed the highlights from our time with them! 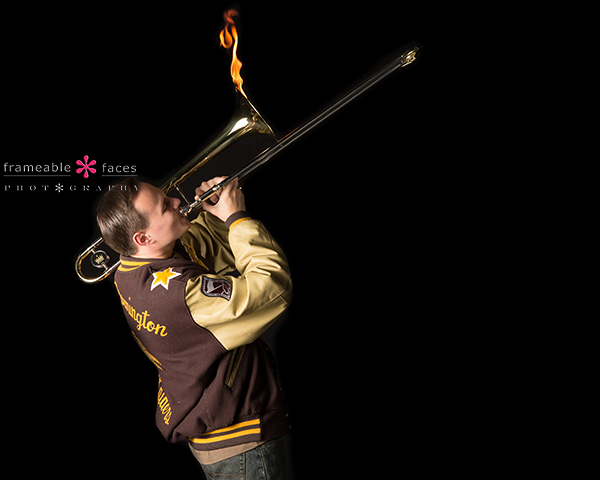 Strike Up The Band For Christian’s Epic Senior Session! 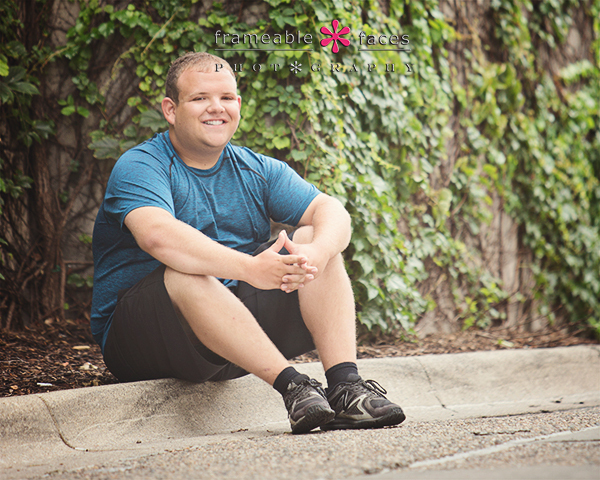 Strike up the band because we’re about to share an EPIC senior session with Christian! 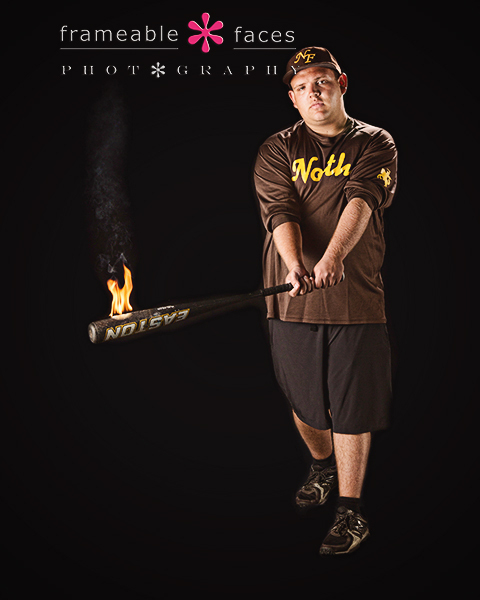 Christian is a North Farmington Raider just like us so we are always excited to photograph one of “our own”. What a great family too! 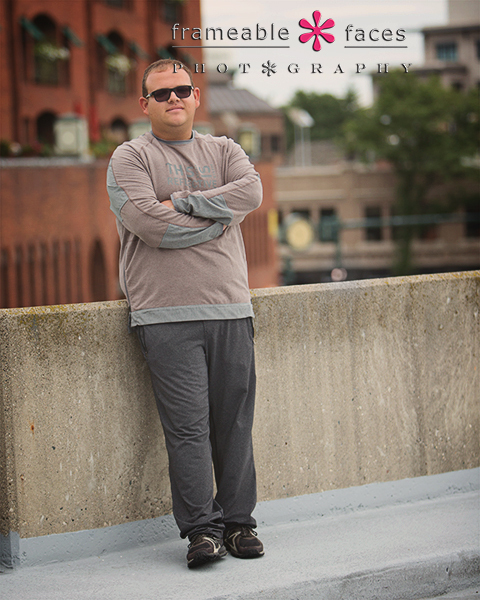 We did some great planning for this one with Christian’s mom, his younger sister helped get him ready the day of the shoot, and his dad came along as well. Christian’s dad is a veteran so we were honored to have him with us. For those who want to see a little more behind the scenes we broadcast a bit of the session on Periscope and here is the replay which includes comments from the viewers. 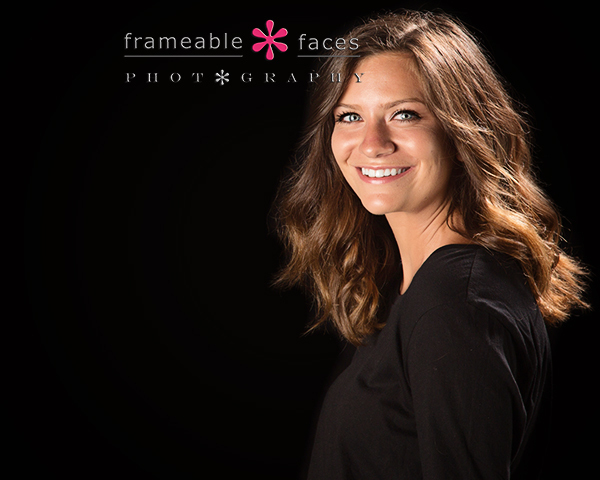 Download the app and follow us at @frameablefaces! 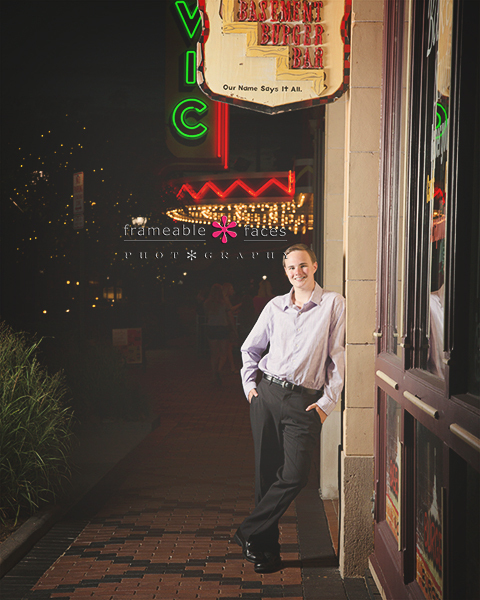 Then we made a couple more quick stops including downtown Farmington to get the old Civic marquee in the background – our first time doing this shot and Christian rocked it! Love the way that one turned out! 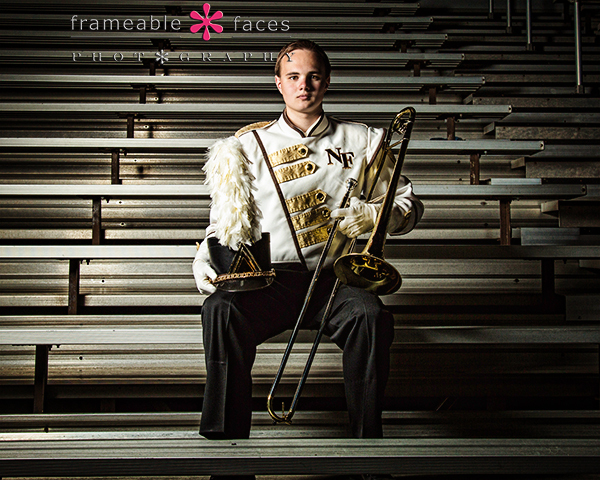 And now we’ll leave you with the bleacher shot in full band gear with the use of a little off camera flash and the FJ Westcott Ice Light (or the light saber as we call it)! Overall an epic night with a great senior and a great family! We are so glad we got to know Christian and his sister and parents! We hope you enjoyed the highlights of our night with him! Who Can Rock The Pretty And The Gritty? Corey Can! It’s especially surreal for us when we know our senior as long as we’ve known Corey – we remember her from the bus stop as a little girl in our old neighborhood, and to see her grow into this beautiful young lady is just so cool! 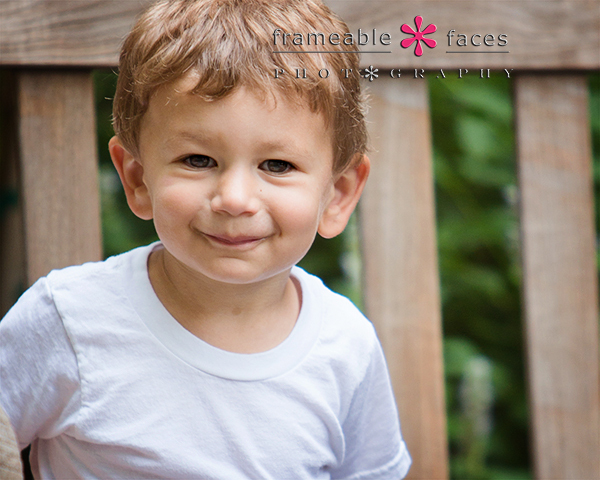 We photographed her brother two years ago and had a lot of fun and anticipation was high for this session. Corey delivered. Great backlight on Corey’s hair, and those eyes!!! Now we’ll head to a couple of the “gritty” shots like this one on the fire escape. Corey was totally in control at this point! And for a little more behind the scenes footage here is the replay of the 5 minute live Periscope broadcast we did of the session! You can download the app for your iPhone or Android and follow us there for all kinds of live programming at @frameablefaces! Now let’s get back to a couple more photos. Corey spied this little metal door for this next photo which we hadn’t used before – now it’s “Corey’s Door”! We will leave you with one more – this one combines the pretty and gritty somewhat with the industrial cement wall but with the pretty black dress. Stunning! And so there it is – Corey crushed it. There’s your answer to who can rock the pretty and the gritty – Corey can! We hope you enjoyed the highlights of our awesome morning with her!